(http://www.isee.nagoya-u.ac.jp/en/topics/2017/20170116.html) was held, where the contents of the paper was discussed. After two years of discussions and writings, the paper has been finally published. 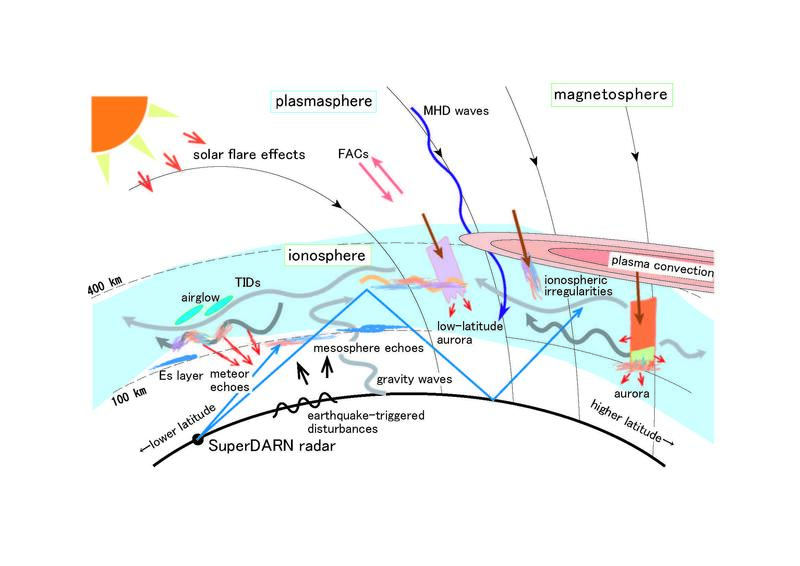 The SuperDARN is a network of High Frequency (HF)113 radars located in the high- and mid-latitude regions of both hemispheres that is used to study the dynamics of the ionosphere and upper atmosphere on global scales. There are a total of 36 SuperDARN radars, 23 in the northern hemisphere and 13 in the southern hemisphere. In the initial stage of the SuperDARN, the radars were built only in the high-latitude regions. On the other hand, in order to pursue new scientific achievements by extending the coverage of the radars to lower latitudes, mid-latitude radars have been constructed in United States, Japan and other regions of the world. At present there are more than 10 mid-latitude SuperDARN radars in both hemispheres.